The payment of 3650€ includes entry fee to all 4 events, 8 sets of parc ferme slick tires, 4 x practice days and 4 litres of oil. X30 Mini driver pack of 3450€ includes entry fee to all 4 events, 8 sets of parc ferme slick tires, 4 x practice days and 4 litres of oil. I have read and agree (Driver & Entrant) to be bound to all regulations applicable to the X30 Euro Series and the X30 Winter Cup. Those regulations include, but not limited to, FIA International Sporting Code (ISC) CIK/FIA International Karting Regulations "General Prescriptions" and the "Technical Regulations". 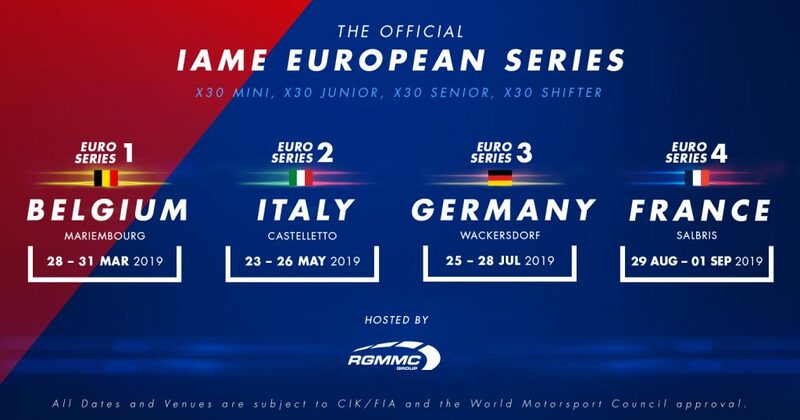 The X30 Euro Series Open "Sporting Regulations", "Technical Regulations Part 1 & 2" and the events "Supplementary Regulations".